Welcome to Episode 3 of the first Sparking Growth Podcast season! In this episode, I talked with Sarah, an assertiveness coach from California. She wants to empower women to become more assertive, but she’s been struggling to reach her ideal clients. 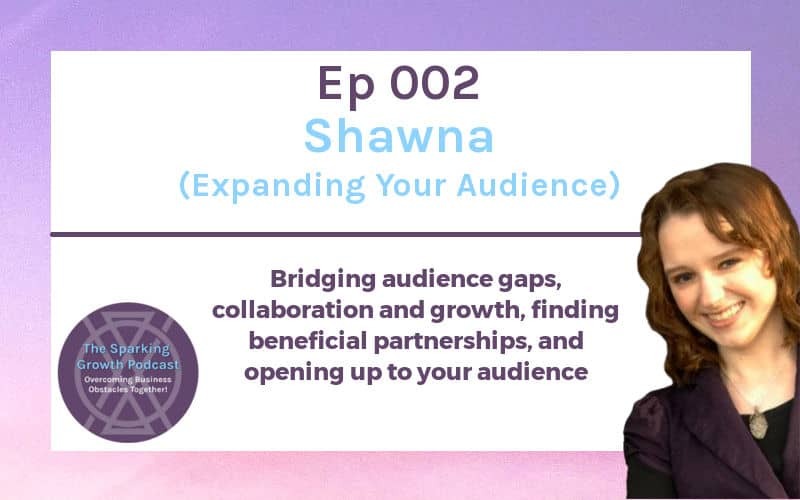 In today’s episode, we work through opportunities for her to connect with the women who need her, creating a community, and leveraging her website to grow her services. 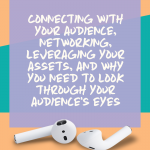 Let’s dive a little deeper into a few solutions for expanding your audience, though! 1 | Where are your clients coming from? Sometimes the answers are right under our noses. Many of Sarah’s current clients have found her via Facebook groups, even though the groups she’s been frequenting don’t target her ideal clients. In the episode, we talked about some ways that she could better leverage Facebook groups to grow her client base. We also talked about figuring out where her ideal clients actually hang out. Since they aren’t in most of the Facebook groups she’s currently in, Sarah knows she needs to expand. In her case, they may be in Facebook groups, but they are also very likely at therapists offices and would benefit from additional coaching and community to build them up. Determining where your ideal client is naturally going to be found is so crucial to success! If you notice that the majority of your clients are coming from a particular place, whether it be social media, a referral, or whatever it may be, dig deeper! Figure out why they’re finding you this way over others. See if you can bring those methods to your other marketing and outreach efforts. 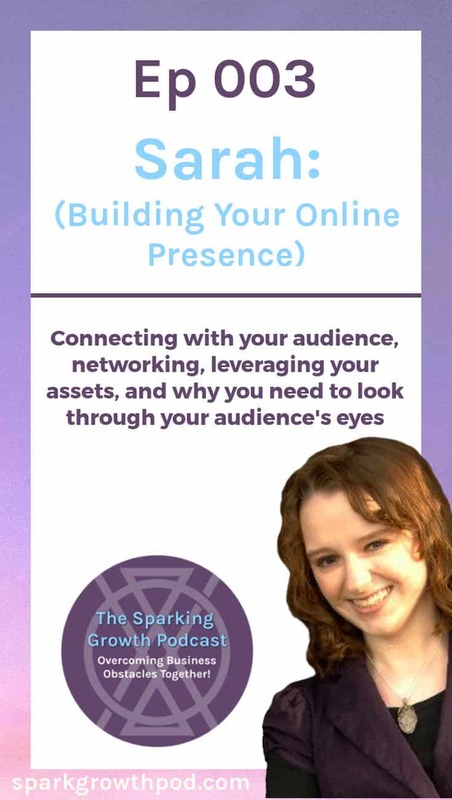 One of the big things we found in this episode is that Sarah wasn’t fully utilizing her website and opt-in assets. She has a great freebie, but the copy on her landing page wasn’t necessarily conveying the value. She also didn’t have the opt-in promoted in enough places and it wasn’t always clear where she wanted website visitors to go on certain pages. We talked about some ways that she could improve the copy and leverage her opt-in to increase engagement. Sarah also had some great blog posts, but they weren’t being found as much as they could be. I think that by doing a few simple things like tweaking the blog post titles, she’ll be able to improve her website traffic and reach more women who need her. Since the recording, Sarah has already implemented some of the changes we talked about, and her website is looking great! Evaluate your business assets and see if you’re fully utilizing them. Sometimes, having a second pair of eyes can be helpful, so grab a business friend or a coach and find the areas that could improve. It’s so easy to get into tunnel vision within our business. We start to speak in jargon and disconnect from our audience. Remember those blog post title tweaks I mentioned? That’s one of those areas that I noticed Sarah’s blog could benefit from when we talked. Her post titles were very straightforward, but they didn’t draw the reader in. Most were not something that her ideal client would think to search for on Google, even if it’s what they were really looking for without knowing it. By tweaking those titles, Sarah will be able to make her posts more accessible and engaging. Always try to see your business through your ideal client’s eyes! What do they need from you? What will they be searching for at the point where they need your services or products? Answer those questions and they’ll feel like you’re reading their minds in just the right way! Find her at The Assertive Woman and join her Facebook group to learn how to teach others how to treat you with respect. Don’t forget to subscribe to Sparking Growth for more episodes and share your biggest takeaways from this episode in the comments.